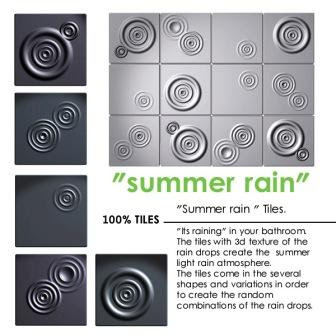 No rhyme or reason, just total randomness today, like the unpredictability of summer rain. Maybe. 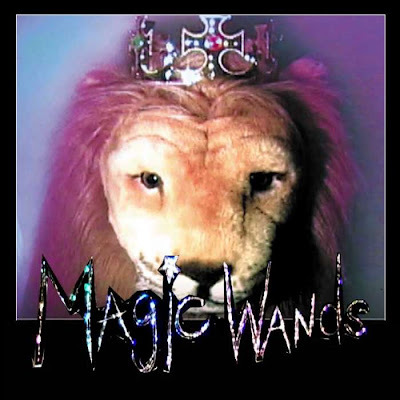 A random pick from the inbox todaythat caught my attention, a band from Nashville called Magic Wands. I’ll let them tell their story. Enjoy. 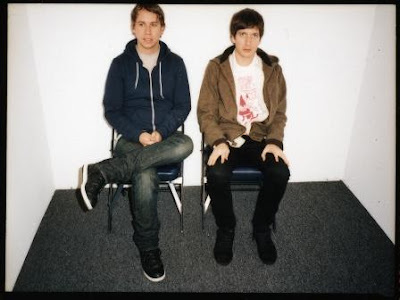 Magic Wands are a Nashville based girl/guy duo fronted by singers/guitarists Chris and Dexy. The first time they met, the two only spoke briefly outside a show on in Hollywood in 2006 when Chris was visiting Los Angeles. They wouldn’t talk again for over a year. In 2007 while living in Nashville, Chris found a song on Myspace that he listened to repeatedly, day and night. Soon he discovered it was a song by Dexy, called Teenage Love. He sent her a message, and soon the two began talking and exchanging mp3s of their music. Having recently both quit playing punk music, they both agreed they wanted to start something completely different. For fun they began recording songs together over the internet, the first being a song Chris wrote for Dexy called Kiss Me Dead. Most nights that summer they were on the phone until dawn, 2000 miles apart and talking about things like music, magic, love and dreams. They would also send packages to each other—gifts such as toy lions, old records, handwritten poems, candy, clothes, plastic rings and one glowing heart lamp. Quickly they decided they had to be together. So Chris came to L.A. to meet up with Dexy at an old bed and breakfast in the Hollywood Hills. They instantly hit it off— playing guitars, visiting old churches and wearing crowns they bought at a magic shop on Hollywood Blvd. After Chris left, they decided they were destined to be. Two weeks later he was back in L.A. helping Dexy pack up her old Mercedes Benz for a trip across the country. When they arrived in Nashville they began recording under the name Magic Wands, taken from one of Dexy’s favorite things that Chris sent her—a magic wand. Currently Magic Wands are living together in Nashville and will release a ltd. EP in the Autumn. 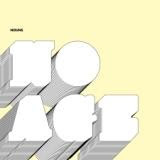 Totally rocking my world in a noise is good kind of way this week is No Age’s Nouns album. It takes the blueprint laid down by Sonic Youth’s Teenage Riot and builds one hell of a house on top of it. A shimmering wall noisy guitars all twisted together with melodic power pop hooks. They’re currently blazing through the UK and Europe and return to make the summer even hotter in the US starting in June. 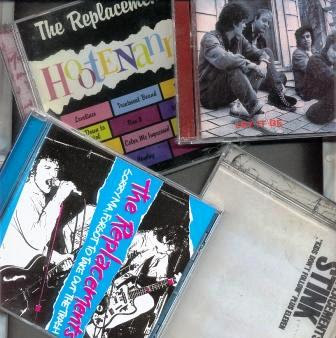 Apologies for the lack of postings lately, while I regroup and get the regular features back on track, here’s a random song for you from the excellent new Replacements Twin/Tone Catalog reissues that Rhino Records has released just last week. And be sure to check out the fantastic interview with Peter Jesperson, who compiled the new releases, over at Teenage Kicks blog. April 15th, The dreaded deadline for filing your US income taxes. A jazzy little number by Grave Cowboys to accompany all the last minute number crunchers out there today. 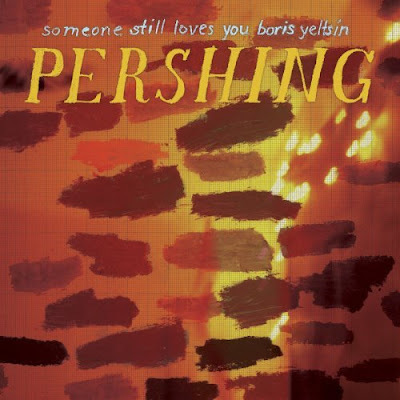 I’ll freely admit I openly ignored Someone Still Loves You Boris Yeltin‘s first album Broom due to the excessive overhype, but I’ll sure as hell be going back and checking it out after hearing their new one, Pershing. Glue Girls is the opening track of eleven slices of sugary, jangly, pop songs that make up the new album. This will be a perfect soundtrack for upcoming warm summer days driving around with the top down or just spent hanging on the beach. 04/14 Mon St. Louis, MO @ The Bluebird w/ Via Audio. 18+ / 8:00PM. 04/15 Tue Indianapolis, IN @ Locals Only w/ Via Audio. 21+ / 7:30PM. 04/16 Wed Chicago, IL @ Empty Bottle w/ Via Audio. 21+. 04/18 Fri Toronto, Ontario, CAN @ El Mocambo w/ Via Audio. 19+ / 9:00PM. 04/20 Sun Allston, MA @ Great Scott w/ Via Audio. 18+ / 9:00PM. 04/21 Mon Brooklyn, NY @ Union Hall w/ Via Audio. 21+ / 7:30PM. 04/22 Tue New York, NY @ Mercury Lounge w/ Via Audio. 21+ / 7:00PM. 04/23 Wed Philadelphia, PA @ Johnny Brenda’s w/ Via Audio. 21+ / 8:00PM. 04/24 Thu Washington, DC @ Black Cat Backstage w/ Via Audio. AA / 9:00PM. 04/26 Sat Charleston, SC @ The Map Room w/ Via Audio. 18+ / 9:00PM. 04/27 Sun Atlanta, GA @ The EARL w/ Via Audio. 21+. 04/29 Tue Memphis, TN @ The Hi Tone Cafe w/ Via Audio. 18+ / 9:00PM. 05/05 Mon Norman, OK @ The Opolis w/ Port O’Brien. AA / 9:00PM. 05/06 Tue Denton, TX @ Hailey’s w/ Port O’Brien. AA / 9:00PM. 05/07 Wed Austin, TX @ The Mohawk w/ Port O’Brien. 05/09 Fri Phoenix, AZ @ Modified w/ Port O’Brien. AA / 8:00PM. 05/10 Sat Tucson, AZ @ Club Congress w/ Port O’Brien. AA / 8:30PM. 05/11 Sun San Diego, CA @ Beauty Bar w/ Port O’Brien. 21+ / 9:00PM. 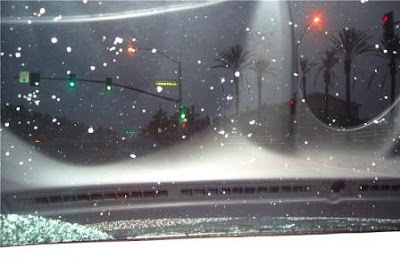 05/13 Tue Los Angeles, CA @ The Echo w/ Port O’Brien. AA / 8:00PM. 05/14 Wed San Francisco, CA @ Rickshaw Stop w/ Port O’Brien. AA / 8:00PM. 05/16 Fri Portland, OR @ Towne Lounge w/ Port O’Brien. 21+ / 9:00PM. 05/17 Sat Seattle, WA @ The Vera Project w/ Port O’Brien. AA / 7:30PM. 05/18 Sun Vancouver, British Columbia, CAN @ Media Club w/ Port O’Brien. 19+ / 8:00PM. 05/20 Tue Salt Lake City, UT @ Kilby Court w/ TBA. 05/21 Wed Denver, CO @ Hi-Dive w/ TBA. 16+ / 7:00PM. 05/22 Thu Omaha, NE @ The Slowdown w/ TBA. AA / 8:00PM. 05/23 Fri Iowa City, IA @ The Picador w/ TBA. 19+ / 9:00PM.